I spoke with Ilter Dumduz, co-founder of Blys for Episode 7 of This Mobile Life. Ilter formerly worked with Freelancer.com, Domain.com.au and Glamcorner. Blys provides on demand mobile massage service in Sydney. Blys is very new and was launched in March 2016. What was very interesting with this interview is that we get a glimpse of how someone who has extensive knowledge of on demand services, marketplaces, and eCommerce products applies this knowledge into a new business. Ilter shares how to take care of both the customer and provider sides of a business. Below are highlights of the interview. If you’d like to listen to the full podcast, you can find it here. 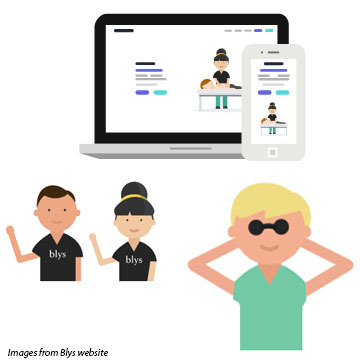 Blys was founded in March 2016, but the idea came out in September 2015, when co-founder Dan Mcleay was having a hard time booking a massage therapist. Blys was thought up to address this cumbersome process and to modernize the booking procedure. Problem to be solved: People who want a massage simply want to relax. They have little time to spare and it’s hard to find a massage therapist to come over where they are. The whole process of getting a massage is very cumbersome with lots of friction points in the process. Finalize name according to brand, as well as URL availability. Find therapists. Blys uses job ads, as well as career partnership programs with massage training colleges and centers. Find customers. Blys markets both online and offline. Build the website. Built in WordPress and optimized for mobile. Post-order tasks. Broadcast job order to therapists. The customer gets email and SMS confirmation. Service delivery. On the day of the massage, the therapist comes and brings table, fresh linen, music, oils, and the best hands in the business! Post-service. Blys will store notes about the history of the patient in its CRM for the reference of other therapists. Customer also gets a Blys record sheet to keep at home for the next therapist. Blys is not just about getting a massage, but making sure the massage experience is according to what client exactly wants. The customer can choose a previous therapist. A job request is offered to that therapist first. A customer can book for someone else. Blys has a gift option. Blys is establishing partnerships with hotels. People in hotels can book themselves, but hotels can also book on behalf of their guests. If supply is growing too rapidly with not much demand, suppliers leave. And vice versa. This will have major impact on the brand. So learn the balance. Blys uses only one metric, and that is not revenue. Instead it measures progress with the number of bookings made through the site. Choosing only one leading metric helps the company to be more focused and on-track with the business plan. We explained leading vs lagging metrics in our blog post, “Why Leading vs Lagging Metrics Matter“. For a new brand, the conversion cycle of a customer is different than an eCommerce website. A new site with a new concept requires a prospect to look for signals on the site and in the market. Road maps work back from the vision. They show the high level, big blocks of work to get to the vision. For a new company like Blys, at first one relies heavily on market research and external signals. As customers come, hypotheses can be taken from both internal and external signals. You formulate ideas faster and these ideas go into your product backlog. You need to be agile and flexible, and your road map will be realistic. Blys sticks to a 3-month road map, like Pandora and Foursquare. Try not to go beyond 3 months. This encourages everyone to think their job through. Anything longer, you create more expectations you potentially cannot deliver. How much time should a product manager allocate to a sprint? Apply situational leadership. If you need to concentrate on the present or the next sprint, then do that. How to manage a road map across products – across website, mobile app, and more? It all depends on the resources and team. Freelancer had 6 products running concurrently. If one team is managing multiple products, have one backlog for all the products. If there are multiple teams managing multiple products, then you would have multiple backlogs. Ultimately, have one backlog per team. The road map & head of product is the link between the products.